On breaks or after sessions, I get lot of question about how to get certified, what to use for preparations, what is best method etc. There isn’t one universal answer to this question. There’re lot of things that you can do, mostly depending on what you want to achieve and method that best fits you. So here is blog post about resources I use when preparing for Microsoft exam. First stop should be Microsoft learning. Here you can find information about what tracks are available so you can choose what certification track you want to pursue. After you choose your certification track, you’ll find what exams you have to pass in order to achieve certification. Here you can find more info on each exam, what areas are covered and skills are measured. Next step would be choosing first exam and collecting some materials. Good starting point would be Microsoft Press Store where you can find books on topics that are covered in your exam. There are some free Microsoft eBooks that you can find here. Microsoft Virtual Academy is great free learning platform where you can find tons of videos and other materials (such as PDFs and quick quizzes). Other free Resources that may be usefull are Channel9 and Technet. MOC (Microsoft Official Courseware) is probably best way to get prepared. 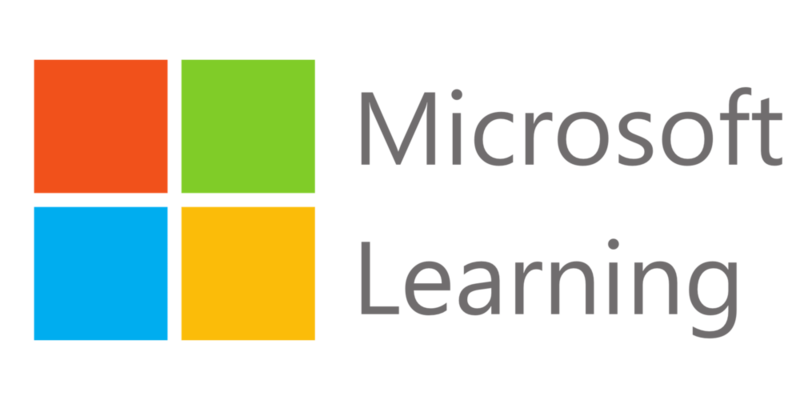 MOCs are organized by Microsoft Learning Partners and are led by MCTs (Microsoft Certified Trainers) who are certified (both for teaching and in technology they teach) and prepared to give you best possible technical training available. Only downside to MOCs is that they can be expensive but, in my opinion, are worth it. If MOC is too expensive for you, there are some alternatives. First would be Pluralsight and next in line would be CBT Nuggets. Those are my two favorite but there are other similar sites like Lynda, Alison etc. Another free way of learning are blogs. There’re many fantastic blogs out there that have load of usefull informations and solutions to problems that you will not find even in official books. Many great blogs are run by Microsoft MVPs but it would take forever to name them one by one. Maybe I will write another post about blogs that I follow. For start you can go to Microsoft MVP site, find topic you want and browse through MVP profiles (they uselly have blog info there). Whatever certification track you choose, create your test environment. Install products that you want to use and test everything you read about as soon as you read about it. It’s one thing to read and listen about something but completely another to actually do it. Repeat it as many times as possible to make sure you can do it on your own and without books or videos. And this shouldn’t be a problem as all Microsoft products have some kind of trial or free license. If you’re into coding, you have Visual Studio Community Edition. If you want to learn Azure, you have trial that gives you $200 for three months. If you want to learn SQL, you have Express Edition(that is free) or you can install full product in trial for 180 days. Windows Server has trial for 180 days as well. List goes on. And my final piece of advice, get some experience. As you learn about new stuff and as you test it, start thinking how can you use it. Think how can you get this new technology/product to help you with you every day task or can you make some improvements if you implemented this new stuff in your environment. Then start doing it. This will help you to better understand technology you want to master and to learn what can you do with it and what pros and cons it brings. Nice list of learning alternatives, and, at least for me, it’s hard to resist a pursuit to check and use the most of them. I’m sure that many certification chasers are gonna find this post very useful. I’ll immediately take hold of your rss. Cool! Thank you for sharing this info and resources!